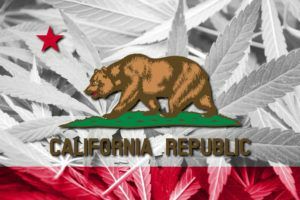 The long-awaited final versions of California’s cannabis business regulations have been published online by the three agencies that oversee the industry. While the rules will not be completely finalized until approved by the Office of Administrative Law (OAL) – and therefore could undergo more changes – the agencies decided to release them before an OAL signoff, which may not be until sometime in January. The regulations were sent to the OAL on Dec. 3 and were originally not scheduled to be made public until next month. Alex Traverso, spokesman for the Bureau of Cannabis Control, emphasized that the final regulations will not go into effect until approved by the OAL. Until then, he noted, the industry will still be governed by emergency regulations that were readopted in June. What is the point of submitting a comment on the proposed regulations when 99% of the comments and suggestions are REJECTED. Seriously, check out all the rejections because CDPH et al. knows best? Why isn’t there an instrument for brands to register for a license? We’re not processors, cultivators or distributors. This does nothing to resolve the issue and brands will surely continue as they have until there’s another path forward. This is so confusing that we are unable to comply. Please make it conform to ca. code #26013 and 26014. Please remove the contradictory language, and please stop changing the onerous and overbearing rules to make them even harder to comply with. new rules start. That would be helpful. Also any news on the two year delay of the track and trace system. Can I also assume that venders can delay implantation of the rules until the BCC is finished with all the changes and delays? I would hate to be in violation of the rules by simply following them to the letter. Does the regs mention Weedmaps? Probably not. They must be smoking some free medical marijuana !